Happy 2018! I cannot believe 2017 is over - I think it's the fastest year that's gone by for me. It's crazy that this is the year that I'm graduating from college. Along with a new year came getting organized for it, which included cleaning my room (a work in progress) and setting up my bullet journal. I'll have a video and post up about that setup soon, but first I wanted to have a reflection/review post of using the bullet journal system fro six months. First off, it's crazy to think I've been using it for six months! As I mentioned in my last post, I've been heavily relying on my bullet journal to stay organized and it's definitely been a life saver for school. Finals week for fall quarter of 2017 was probably the most organized one I've had because I had my bullet journal to stay on track with studying and due dates. I've decided to break up the review into different categories so it's easier to understand what it's all about, and see all my thoughts about it! This is definitely the most important part - to me - of a bullet journal, or any planner for that matter. Before I started bullet journaling I was using regular planners that I bought from Target or Nordstrom to stay organized, and they worked just fine. I wanted the ability to personalize it more, though, and be creative while staying organized. I have found the bullet journal system to be very efficient. The "guidelines" are just that: advice on how to stay organized instead of strict rules that make you adhere to the system fully. You can change up the symbols, not use all of them, or stick to the pre-made ones. I more or less stuck to the set symbols of the bullet journal system (read more about those here) and I found them to fit into my planner pretty seamlessly, and they were easy to get used to. As for the monthly and weekly spreads, you have a lot of freedom to be as detailed as you want. 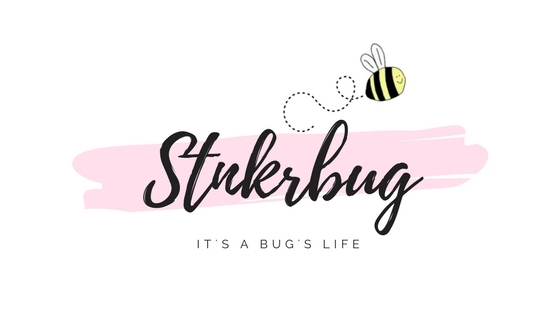 If you want extensive layouts for the week, or different trackers and various pages for the month, you can definitely do that, but if you want to stay more simple that's perfectly fine. 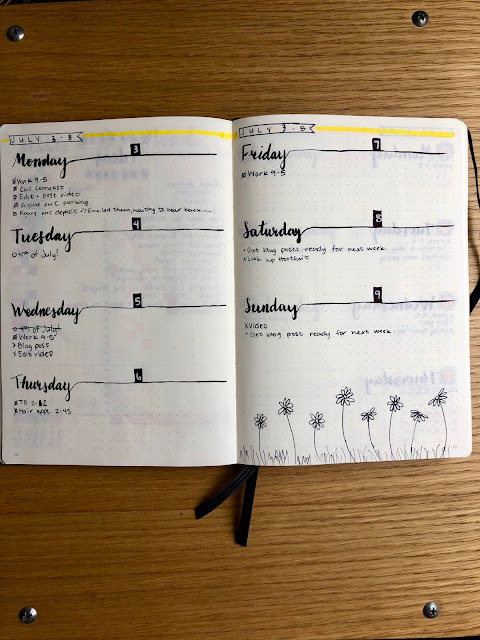 I found myself switching between detailed and simple a lot depending on how much time I had to make the spread, and how much space I thought I would need for busier or calmer weeks. 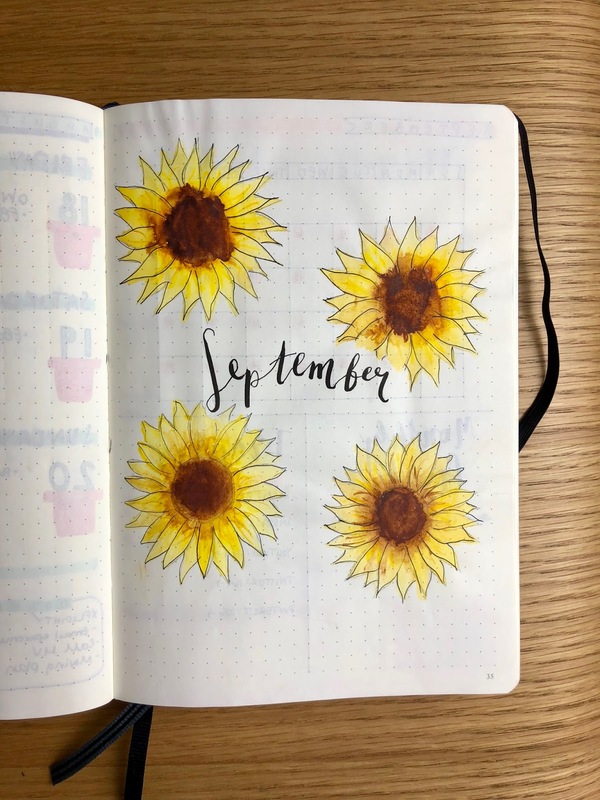 During school I have more detailed spreads, but over the summer when it was just work I could do some more simple spreads. 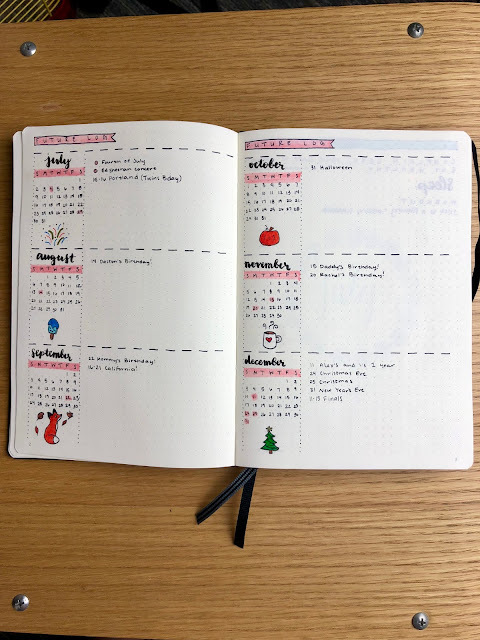 Over winter break I didn't bother to have weekly spreads because I was pretty much just working out, sleeping, or watching Harry Potter. I love the freedom the BuJo's give you for organizing your life, and it makes them very functional. 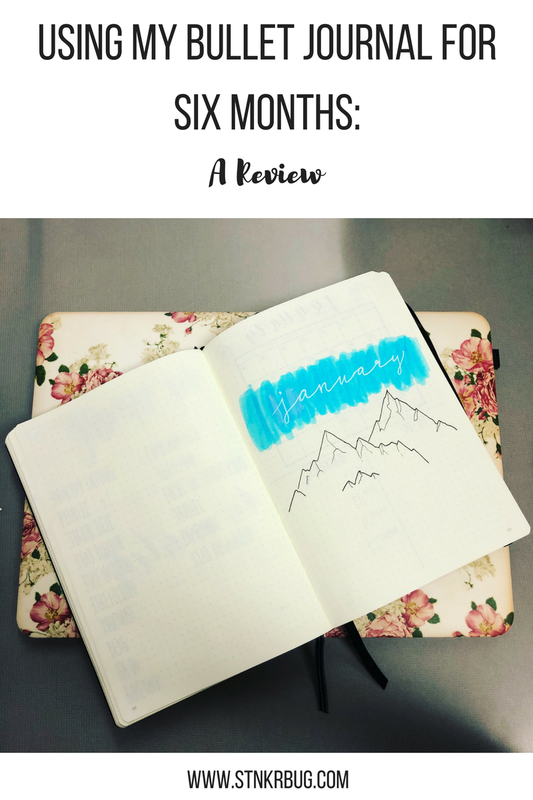 The fact that it also serves as a journal, cost/health/habit tracker, random idea journal, and whatever else you want it to be, really makes it special and convenient. One of the reasons I initially started bullet journaling was so I could have more creative freedom with my planner. I was tired of buying a planner with one "theme" and would get bored of it throughout the year. With my bullet journal, I'm excited to come up with new themes for the month, and I can make them as detailed with doodles as I want. 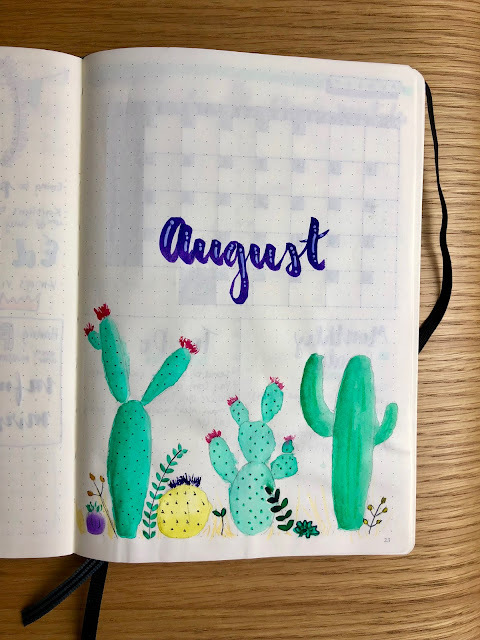 I stayed pretty simple in the beginning and didn't go overboard with themes, and I think this was a good way to go about starting a bullet journal because it wasn't too overwhelming. 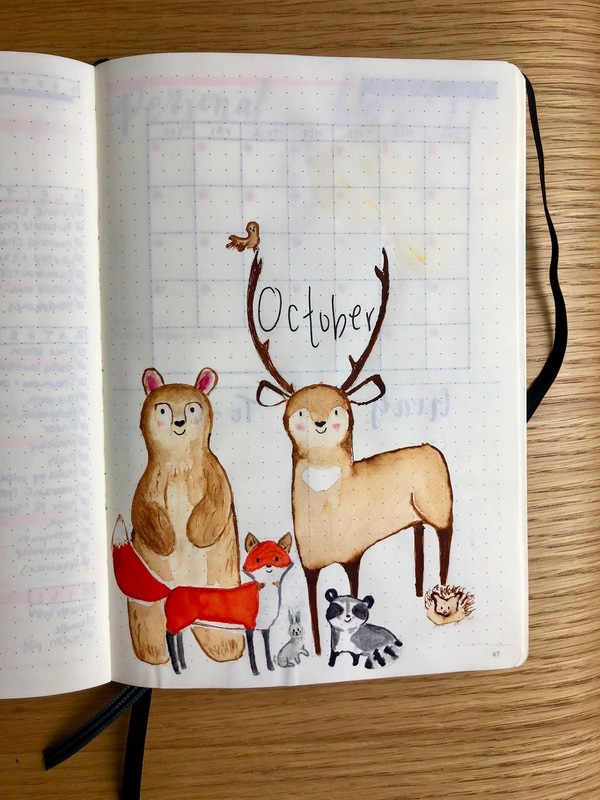 One of my favorite monthly themes and cover page! As with functionality, you have a lot of choice on how your bullet journal turns out and how it's decorated - or not. You can do simple spreads with clean lines, or you can add some doodles and art to it and give it some personality. I really love doing this because I don't have a whole lot of time in college to draw or paint like I used to, so this gives me a creative outlet and a chance to sit down and relax. It's therapeutic sitting down on Sunday afternoon and setting up the week ahead and just letting myself be creative for a bit without the pressure of wanting to create art when I'm not necessarily feeling inspired. There's a lot of structure to pre-made planners, but with bullet journals you can organize your weeks however you want, and like I said earlier, use it for things like journal entries or lists. 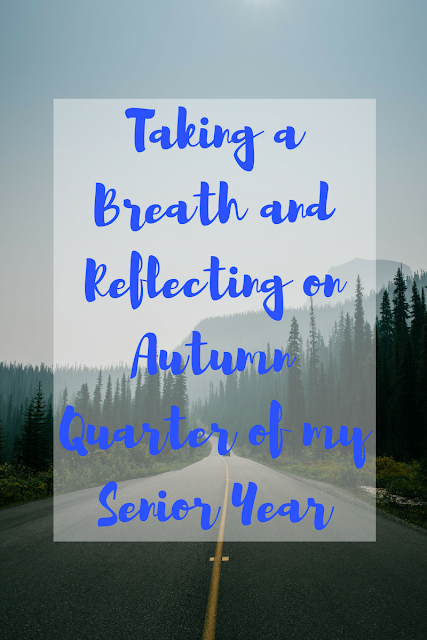 I've done this with packing lists before and it's nice to have it cataloged for future use, and it's also nice to have a quick written reflection on months. These last two sections are particularly for the bullet journal I have, which is the Leuchtturm1917 bullet journal. I know a lot of people who use this journal, but there's a lot of options out there, especially as bullet journaling becomes more popular! I chose this journal because I like the classic look of it, and it's nice that there's the stretchy cord thing (does anyone know what this is called...?) to keep it closed since I keep it in my backpack most of the time. I'm super impressed with how the cover has held up in my backpack as well, there's not a lot of wear on it at all. This was all watercolor, and the pages held up really well! The pages are also thick enough that I haven't had any pens bleed through, only a couple of my water-based lettering pens when I go over a spot too many times with the color. They also work nicely with watercolor, which I use occasionally for monthly cover pages. The dots on the pages are pretty standard, and I don't know if there's much variation between journals that different companies make. There's also nice folders in the back to put loose paper in the journal, and a couple bookmarks attached so you can keep your place, or mark an important page. Overall, I'm really satisfied with how this journal has lasted for the last six months! Another watercolor heavy page that held up just fine! Again, this section mostly pertains to the particular journal I have, which I feel is reasonably priced at around $24. I got it on Amazon so shipping was free and it arrived quickly! For all the other pens I use, I tend to buy them on Amazon as well or at Michael's, which always has coupons to use. I just want to specify that you do not need to buy fancy pens to use a bullet journal; all you need is a pen and journal! You can make it as cheap or inexpensive as you want. I happen to love art anyway so I don't mind investing in supplies for it because I also use them for other projects. 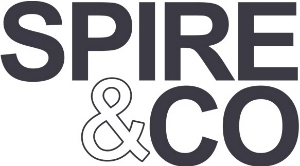 If you do want to buy a lot of cool supplies, I suggest watching for deals at craft stores, and like I mentioned before, if you just search "Michael's coupons" there's always some pretty great ones available to use. Target is also a great option to get markers, and I personally love using the Crayola Supertips markers because they're pretty nice and inexpensive! I'm really glad I decided to start my bullet journal six months ago, and I'm excited to continue using it in 2018! It's been so helpful to keep my senior year organized, and it's quickly become my best friend and something I use everyday. If you're wanting to get organized for 2018, then I definitely recommend starting a bullet journal!